Among the possibilities raised by Campbell: Cameras mounted at key intersections and along major roadways that could catch and generate people barrelling through red lights and going way too fast. Read more. The City Council today agreed to continue studying a proposal by Council President Andrea Campbell (Dorchester) to extend the right to vote in municipal elections to "immigrants with legal status." Read more. The outrage of Codman Square residents who recently learned Popeyes was building an outlet where it had been denied permission two years ago could lead to new regulations that require companies to notify neighbors of even proposed projects that meet all zoning requirements. Read more. The Dorchester Reporter reports on the non-race to succeed Councilor Michelle Wu (at large) as council president. Campbell will preside over council meetings and assign members to committees. City Councilor Andrea Campbell's public-safety committee holds a hearing on the topic of "violence in Boston" Tuesday evening. The session, requested by City Councilor Tito Jackson (Roxbury) starts at 6:30 p.m. at the Thelma Burns Building, 575 Warren St. in Roxbury. Read more. Essaibi-George explains vote against charter-school expansion after glowering at shuffling charter supporters. 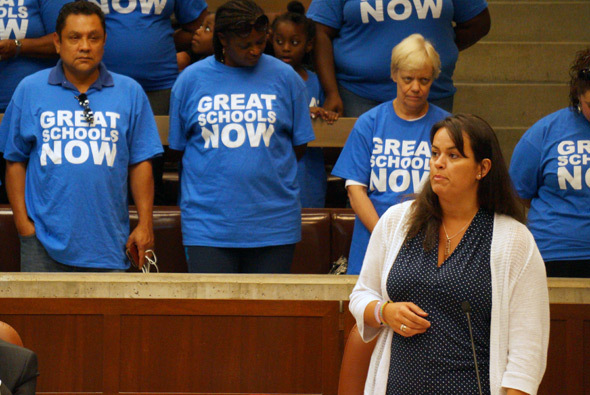 The City Council voted 11-2 today to oppose what two called the pending "catastrophe" of expanding charter schools in Massachusetts. Read more. Anticipating voters will approve the recreational use of marijuana, city councilors voted today to ban pot shops and medicinal marijuana dispensaries from opening closer than a half mile to each other. City Councilor Michael Flaherty (at large) had originally sought a one-mile restriction, but offered a half mile as a compromise. Read more. City Councilors Andrea Campbell (Roxbury) and Michael Flaherty (at large), say that for an average of about $23 per resident a year, Boston would be able to build more housing for people being priced out of the city - and help upgrade city parks and historic sites. Councilor Bill Linehan, however, is not sure he buys it. Read more. City Councilors Michael Flaherty (at large) and Andrea Campbell (Dorchester) want to ask voters to approve an increase in local property taxes to help pay for construction of affordable housing and buy and maintain open space. Read more. Yancey vows to keep working for a high school in Mattapan, WGBH reports. WGBH reports on Campbell's path to victory. Read more. The Dorchester Reporter calls District 4 for Andrea Campbell in a decisive win over three-decade Councilor Charles Yancey, in her first run for elective office. Annissa Essaibi-George finished ahead of incumbent Steve Murphy for the fourth at-large seat, behind Wu, Flaherty and Pressley. Murphy, on the council since 1997, called Essaibi-George to congratulate her. Essaibi-George came in fifth for an at-large seat two years ago. The Globe reports on District 4 city-council candidate Andrea Campbell's residency status over the past few years. CommonWealth Magazine did a precinct-by-precinct analysis of the results from last month's preliminaries, in which Andrea Campbell not only won a slot in the November finals, she came in first. 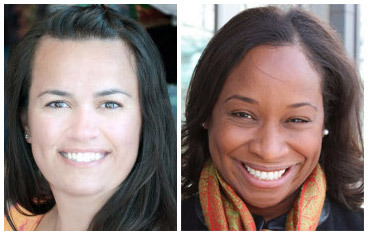 Two challengers look to unseat the longest sitting city councilor in September's preliminary election for District 4, which includes parts of Dorchester, Mattapan and Jamaica Plain. We talked to both Andrea Campbell and Terrance Williams. Councilor Charles Yancey did not respond to several interview requests. A fourth candidate, Jovan Lacet, will be listed on the Sept. 8 preliminary ballot, but Lacet says he has dropped out of the race. Andrea Campbell of Mattapan is a newcomer to the race for public office after serving as deputy legal counsel for Gov. Deval Patrick. Terrance Williams of Dorchester is back after an unsuccessful 2013 run against Yancey. Read more.